Our Pediatric CPR, AED and First Aid Training Program provides an ideal training solutions for schools, child care providers, youth sports coaches and other required to learn how to respond to medical emergencies involving children. 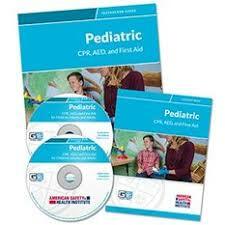 This program is for individuals who desire or are required to be certified in Pediatric CPR, AED and First Aid. ​The Child and Babysitting Safety Training Program is designed to focus on supervising, caring for, and keeping children and infants safe in babysitting settings. This program provides fundamental information in the business of babysitting, proper supervision, basic care giving skills and responding properly to ill or injured children or infants. This program is for individuals who are interested in providing babysitting services.